Discover which U.S. states have the lowest taxes, and let CreditLoan lead you to the best places to live to keep more of your money. Benjamin Franklin uttered these wise words during the framing of the U.S. Constitution. And they remain just as true today as they were back in 1787. Of course, taxes back then were not as high as they are today. That's the amount an average U.S. household pays each year in federal, state, and local income taxes. We all work hard for our money, and we want to keep more of it to spend on the things that matter most to us: housing, food, clothing. Plus some fun stuff: vacations, date night. And, of course, we want to keep more of our money to grow our savings—so we can be prepared for retirement or an emergency situation. Personally, I enjoy a nice steak dinner out every now and then (which is easy to do in a state with no state sales tax, like Delaware or Montana). And I always make sure to put at least 10% of my income into savings. But as we all know, you can't keep 100% of your income—a portion of it has to go toward federal income tax every year. You could lie about your income, your number of dependents, or your business expenses just to lower your tax burden. 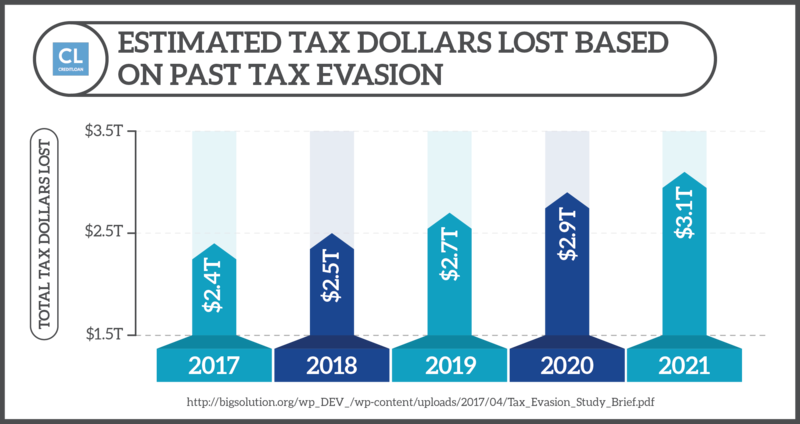 But, let's face it—tax evasion is never a good idea. The penalties can be harsh—including hefty fees and even jail time. But there is a legal solution for taxpayers. If work and lifestyle allow, move to a state with the lowest taxes, so you can keep more of your hard-earned money to enjoy on the things that matter most! Since 1998, CreditLoan has been helping to educate consumers like you on financial issues, while giving you the tools and solutions you need to effectively manage these issues. And that includes sifting through the all the available information to find the most tax-friendly states. Join us as we show you why taxes are higher in some states than others, and what to look for when you're choosing a state with the lowest taxes. 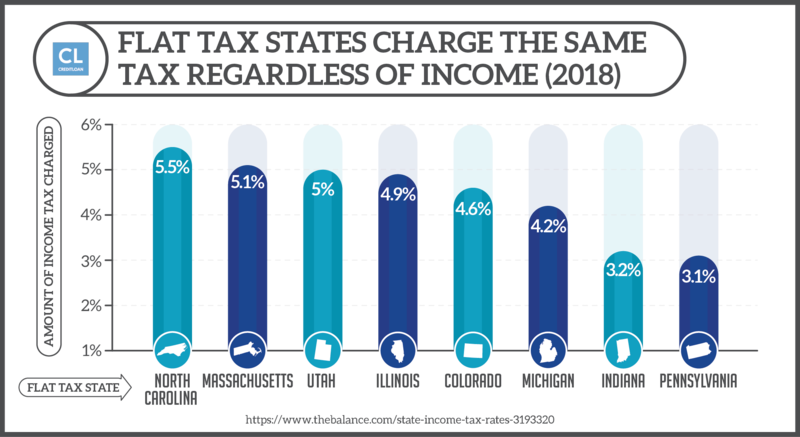 Taxpayers in the highest-taxed states pay up to three times more in state income tax than those in states with the lowest taxes. But when you're choosing a state with the lowest tax burden, it's not as simple as just looking at the cost of income tax. There's also local property tax. Taxes on items like beer and motor vehicles. We've outlined the most tax-friendly states in the country across the board so you can make an informed decision about where to live if you want to keep more of your money. Bonus hint: With less taxes and more money in your paycheck to spend, make sure you don't make these money mistakes. Always consider putting the money you save to good use. Save money in the cheapest state in the Union. Low income tax, especially for low-income folks. If you make less than $60,000 per year, you'll enjoy some of the lowest personal income tax rates in the country in Delaware, at 2.2% and up. Make more than $60,000 and that number skyrockets to 6.6%. And you may not want to be a business owner in Delaware since most of the state's tax revenue comes from high taxes on corporations. But for individuals, low income means low tax rates, and that means more savings. Low property taxes for homeowners. Want to own a home in Delaware? The state has the fourth-lowest property tax of all 50 states, behind only Louisiana, Alabama, and Hawaii. No sales tax and a low cost of living. On average, states in the Northeast tend to cost more, and Delaware's relatively high income tax supports this assertion. But when numbers are adjusted based on salaries and the price of goods and services in the state, Delaware comes out on top as the most tax-friendly state in the nation. Delaware has no state or local sales tax, making your money for clothes, shoes, and household items go further. Remember that old joke, "What does Dela-ware?" We guess the answer is "anything she wants because it's all tax free." Income from oil helps Wyoming support its residents without high taxes. Keep your whole paycheck in Wyoming. Wyoming has no state income tax, largely because of the wealth of oil that brings revenue to the state. Low taxes across the board. Property taxes are ninth lowest in the nation, and prices of homes are lower than average, too. You can enjoy dozens of acres for less than the price of a 100×100 lot in some of the worst states for property taxes, like New York. Live better in Wyoming. The average state and local sales tax is just 5.4%, with only a 2-cent per gallon tax on beer. When you factor in the overall cost of living with all these low taxes, Wyoming ranks second on the list of least expensive states in the U.S.
Alaska, too, makes all its state revenue from oil sales. No income tax, plus money in your pocket. Not only does Alaska have no income tax, but it actually pays people to live there. Thanks to the Permanent Fund Dividend, residents who have lived at least one year in Alaska receive a stipend of $800 to a few thousand dollars. It may not be enough to retire on, but it's a great little windfall you can add to your 401k or save to spend on a vacation. No state sales tax. Alaska looks even better when you learn the state has no sales tax. And the average local sales tax is just 1.76%, with Anchorage imposing no sales tax at all. Gas taxes are just 12%, the lowest in the U.S. (thank you, state oil!). 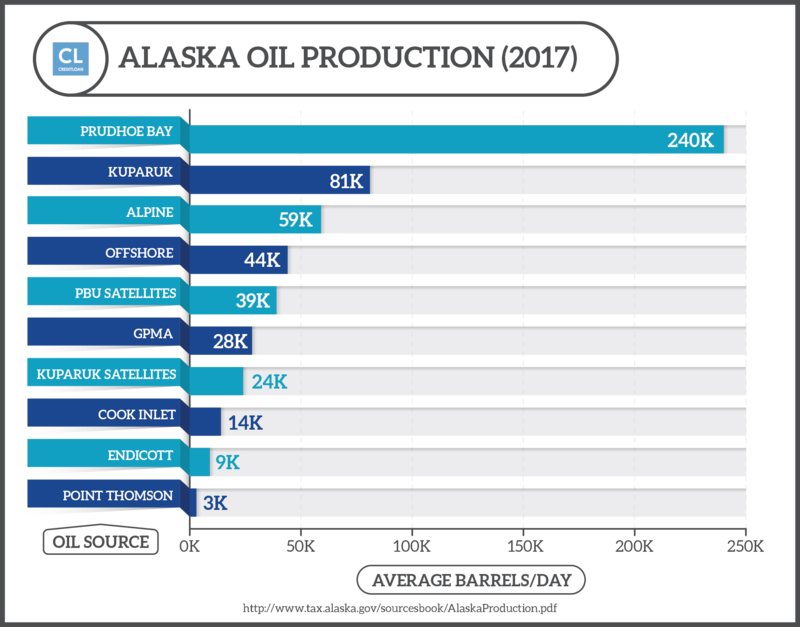 Like Wyoming, Alaska needs fewer of your tax dollars to support programs across the state because it relies largely on income from oil. If you'd like to keep your hard-earned money but in a warmer climate, consider Florida. Perfect for young families. The Sunshine State has no state income tax and some of the lowest property taxes in America. With a median home price of $159,000 and average taxes of $1,686 on those houses, it's no wonder so many young families flock to Florida. Average sales tax, but low cost of living. State sales tax is 6%, but the average combined state and local taxes are just 6.8%. If you're moving to Florida from a more expensive state, you won't feel the sting as much because the prices of goods and services tend to be slightly lower overall than the national average. If you don't mind the cold, you'll love the Montana lifestyle and the low taxes. Spend more of your money on what matters to you. Montana has no state sales tax, so you can spring for that new ski jacket and lift tickets without worrying about added costs. Except if you like to drink. Be aware that Montana has some of the highest alcohol taxes in all 50 states, especially on wine and liquor. While beer is taxed at only 14 cents per gallon, wine tax costs an additional $1.06 per bottle. Not to mention that the tax on liquor costs almost $10 per gallon. Driving costs can add up, too. Montana's tax on gas adds up to nearly 33 cents per gallon, making it one of the more expensive states for gas taxes. But there are still 19 other states with higher gas taxes. Still one of the most tax-friendly states. The gas and alcohol tax can easily be offset by low property taxes—the 18th lowest in the U.S., in fact. Even better: Already-low personal income taxes can be further reduced by a wealth of deductions and tax credits, which are some of the most generous in the country. Maximize your tax refund in this state by writing off any energy conservation measures, alternative fuel, recycling, caring for aging loved ones, and even a high percentage of capital gains. But remember that state tax laws and deductions can get confusing, so you might want to enlist a tax professional to help. No personal income tax and low property taxes here are offset by high sales tax. Get to keep your entire income in Nevada. Want to keep more of your paycheck? Nevada is a good state to do it in since there's no personal income tax. But pay more when you shop. Nevada's state sales tax, at 6.85%, ranks even higher than New York's, and local taxes can bring that total up to 8.1% in some areas. That can sting a bit, but at least groceries and prescription drugs are tax-free. You'll also pay 24 cents per gallon extra for gas due to taxes. Alcohol is taxed heavily here as well. You'll pay 16 cents per gallon for beer and between 16 cents to $2.70 per gallon for wine and liquor, depending on the alcohol content. With Las Vegas' bars, clubs, and casinos bringing in significant revenue for the whole state, I'm not surprised. But as long as you don't indulge in more than the occasional cocktail, Nevada's sin taxes shouldn't impact your bottom line. Overall, a good value. You could pay less for a place to live in Nevada because property taxes are moderately low. The Tax Foundation says Nevada property taxes are 0.86%, ranked 20th lowest in the country. In all, Nevada has the fourth-lowest taxes in the nation and ranks 6th when adjusted for the cost of living in the state. At first glance, Louisiana taxes may seem high. But a low cost of living and low property taxes, plus plenty of deductions, can help you save more in this southern state. High income tax rate offset by generous deductions. Louisiana's income tax rate starts at 2% and goes up to 6% on taxable income over $50,000 for individuals and $100,000 for married couples filing jointly. This means lower- to middle-income families enjoy some of the lowest taxes in the country, while those with the highest income still pay less than the national average. What's more, Louisiana workers can deduct all the federal income tax they pay from their state taxable income, further reducing their state tax burden. High sales tax. Although Louisiana residents may receive a generous tax refund in April, they might find it goes fast on goods and services. Louisiana's state sales tax is fairly low at 5%. But local municipalities often add their own taxes, bringing the average tax on purchases up to 9.98%—and as high as 12% in some municipalities. Louisiana imposes just a 20 cents-per-gallon tax on gas and, like most states, does not tax groceries or prescription drugs. Pay less for a home. Due to local sales tax, your savings in Louisiana may depend largely on where you live in the state. But here's some good news: The median home value is $144,000, which is well below the national average. And the taxes on such a property? 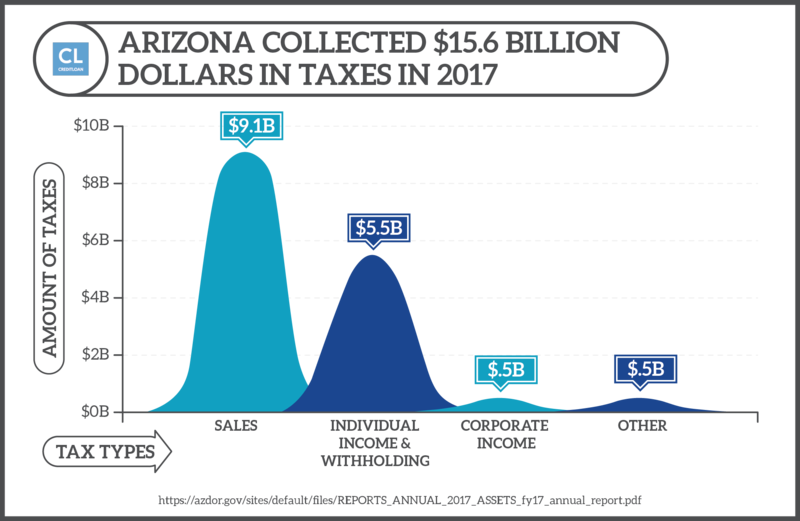 With low income tax even for relatively high earners, Arizona lets you keep more of your money. High cap and low taxes. Arizona's state income tax rate begins at 2.59% and goes up to a meager 4.54%. But you'll have to earn $152,668 as an individual or $305,336 jointly before you reach that highest income bracket. Low property taxes. Not only do you get to keep more of your paycheck, but your housing budget can go farther in Arizona. Property taxes on a median-priced home in the state are lower than the national average. Expect to pay $1,356 in taxes on a home valued at $167,500. Revenue comes from sales tax. Arizona's state sales tax is just 5.6%. But local municipalities also tax goods and services, bringing the state's total sales tax up to an average of 8.25%. Choose your city carefully because some places in Arizona even collect sales tax on groceries. But beer and gas are well within the range of most states. What won't cost you more in taxes in Arizona? The state's 19 cents-per-gallon gas tax is below the national average, while the beer tax is just 16 cents per gallon. Wine and liquor taxes range from 24 cents up to $3. It's always nice to choose where you spend your money, and states with no state income tax allow you to do exactly that. Take home more of your pay. South Dakota is one of the few states on our list with no state income tax, so your take-home pay could be greater than that same salary would be in, say, California or another one of the worst states for taxes. Save at the store, too. South Dakota's state sales tax comes in lower than the national average, at just 4.5%. Municipalities are allowed to tack on another 2.5%. And most do, bringing the average up to 6.39% for state and local sales tax combined. And you'll pay state sales tax on more items than you might imagine. Unlike most states, South Dakota even taxes food and non-prescription drugs. With no income tax, revenue has to come from somewhere, so the state government gets its tax dollars through the sale of goods and services. Be prepared to pay property taxes. Property taxes are another big money-maker for South Dakota municipalities. The average property tax for a median-priced home of $140,500 is higher than the national average. But the property itself costs less than the national average. The bottom line: South Dakota is an inexpensive place to live. Tennessee is another one of those states with no income taxes on wages earned. Understand Tennessee tax laws. Tennessee has no state income tax on wages. But Tennessee does tax stocks and bonds at a flat rate of 6%. That said, the state voted to phase out the tax on dividends beginning in 2018. Income from sales tax. So how does Tennessee get funding to support the state? Tennessee has some of the highest sales tax rates on food in the country. Even so, only five states have lower overall tax rates than Tennessee. With careful budgeting when you grocery shop, you can definitely save money on taxes in Tennessee. Enjoy all the benefits of moving to a tax-friendly state when you learn how to make the most of your low-tax lifestyle. No matter where you live, taxes make up only a portion of your living expenses. And while you might be stressed when it comes to paying your taxes, let me assure you it'll be worth your while to think about these other things as well. Consider your cost of living. You know the deal here—this is the total of your basic living expenses, including housing, food, and things like gas and clothing, compared to other places. Cost of living can be a major factor in your quality of life. Of the tax-friendly states on our list, only South Dakota, Florida, Arizona, Wyoming, and Tennessee have cost-of-living indexes lower than the national median, with Tennessee significantly lower than the national average. Salaries matter. Unless you are planning to retire, which means you'd want to consider tax rates beyond income tax when you choose a tax-friendly state, your salary matters as much, if not more, than the tax rate. Balance the cost of living in a state with job availability and average salaries in your field to determine if you can really save money by moving. Consider the quality of life. Taxes aren't actually a bad thing. They give your state or municipality money to run public schools, build roads, keep parks and beaches running, and support state programs. Be wary of regions with very low property taxes if you have children; the public schools may not have the materials they need to provide a good education. On the other hand, high taxes can sometimes just be a sign of the government wasting your tax dollars, so it pays to research an area before you move into it. Taxes should be one of the considerations when it comes to choosing a place to live. But if you do choose one of the states with the lowest taxes, here are some of the benefits you'll enjoy. More of your hard-earned dollars to spend on the things you love. Whether it's traveling the world or buying a designer bag, living in a state with low tax rates can help you afford more of what you love. In my home state of Florida, I love taking in a Marlins game with my son. And this is something you can do even if you're on a budget, thanks to Florida's low cost of living, zero income tax, and low property tax rates. You can even do it while you're saving to buy a home. And something you may not have considered: If you rent a home, you may think property tax savings don't apply to you. But your landlord pays property tax on the home you rent. You better believe he's passing that cost down to you, it's what's keeping rent so cheap in the Sunshine State! Get a home loan with less stress. When you apply for a mortgage, the bank will look at your overall salary, your debt, your credit rating, and your overall mortgage payments, which include principal, interest, and taxes. Property taxes represent a significant part of your mortgage when you buy a home. Choose a home in a low-tax state, and more of your mortgage money can go to a nicer home instead of property taxes. Save more money for a down payment. A down payment greater than 20% improves your chances of approval by creating a lower risk for the bank. It can also lower your monthly payments. Congratulations for recognizing the value of those states with the lowest taxes and a relatively low cost of living compared to average salaries. A little research will also help you know what you'll be getting for your money by way of government services, including the quality of the schools and roads in your region. Understand how your credit score works to determine how to improve it before you rent a home or apply for a mortgage. Start searching for homes in the areas you want to live. Start looking for the best home loans based on your personal income and your credit score. With the help of these steps, you'll be able to relocate your life and career into states with the lowest income taxes, so you get to keep more of your income! What are the taxes like where you live? Would you ever relocate because of this?